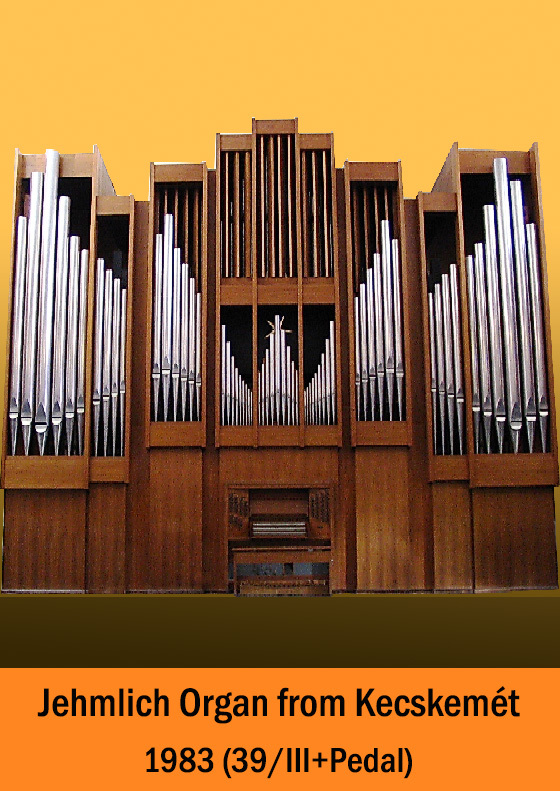 Description: The Jehlmich organ of Kecskemet was built in 1983 in the concert hall of Kodaly Professional Music School. This is the largest Organ (40/III+P) in this series. The organ is still in good condition and suitable for both concerts and teaching.